It took us a long time to visit Napa Valley for the first time. We had moved to Northern California in the last days of 2006. It was not until October 2007 that we booked a night in a Bed & Breakfast in Calistoga. The night of our stay we had a meal. I do not recall what we ate, but I vividly recall the wine that we drank. My wife has a fondness for good Chianti, not the dreck served in straw bound bottles (These bottles are known as fiasco.) The primary grape in Chianti is Sangiovese. On the wine list that night was a bottle of Luna Sangiovese, which we ordered. The wine was a wonderful example of the varietal; a medium body with an acidity that paired well with the now forgotten food. California Girl Comments: Fiasco – Did anyone else not know that term aside from me and the other 99% of the world? The next day we drove down The Silverado Trail, the quieter and more picturesque of the two roads that run the length of the valley. At the Southern end, just before we hit the city of Napa, we saw the winery from which the previous night’s wine had come. We turned in and had a tasting. California Girl Comments: Honestly, I remember screaming out from the passenger seat “TURN HERE!” and you then swerving crazily in the road trying not to kill us all while giving me the “You are psycho never do that again” look. California Girl Comments: Ok folks, how many of you know the percentage of a particular wine type you have on hand? I mean really? I just shake my head. This first tasting reinforced the impression from the previous night; the Sangiovese was splendid. 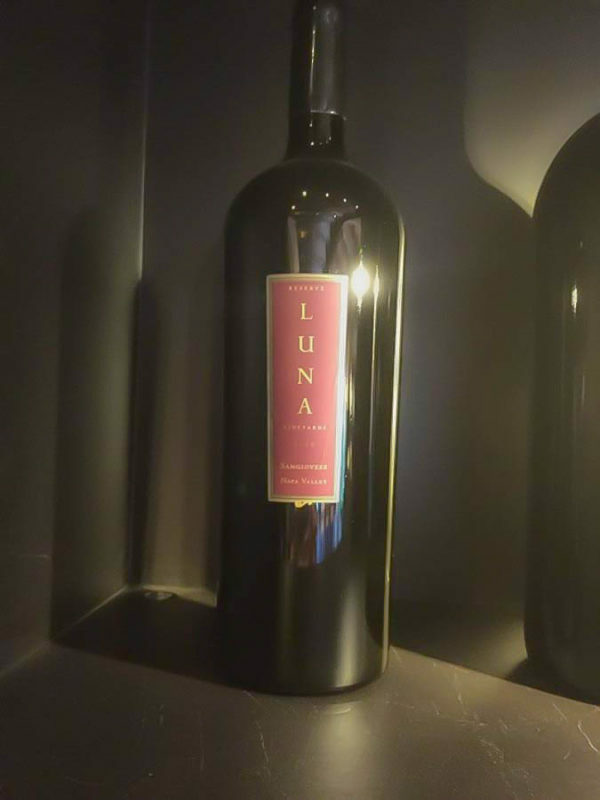 I have heard the servers at Luna claim that it is one of the best Sangiovese in the valley; I always feel I should demure; as I think it there is none better, unless one includes the Luna Sangiovese Reserve in the comparison. Over the years visiting the vineyard, we have seen the wines offered evolve. Originally they were strongly focused on Italian style wines. 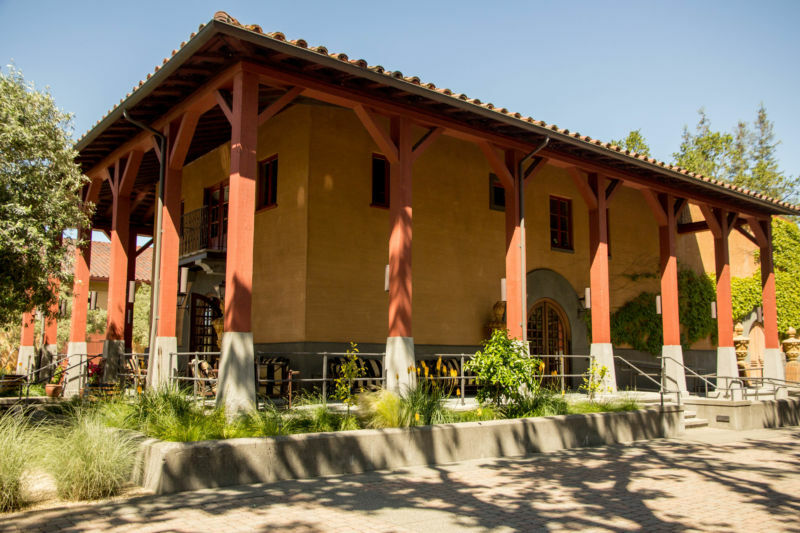 In recent years, with a new winemaker, they have added several Chardonnays that highlight different clones, a French style red, and a Classic Napa Cab. These complement and not eclipse those original Italian wines. Luna produces wine that is sold via retail outlets. These include a Pinot Grigio and a Sangiovese. They are cheaper and less impressive cousins of the wines sold from the winery. They also sell a sub $15 blend called Lunatic that uses Sangiovese. 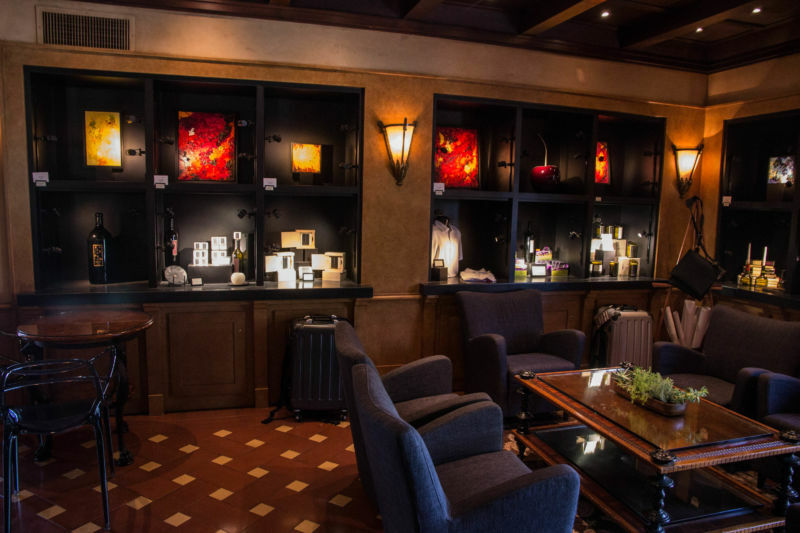 The Luna tasting room has a dark, rich interior decoration. The only natural light comes through the three doors that are usually open. There are three seating options; stools at the bar, chairs & sofas around the room, and outside chairs on the porch that surrounds the room on three sides. The location of the winery means that it lacks spectacular views. However, the quality of the wine and the consistently friendly welcome more than make up for the lack of a vista. California Girl Comments: We have a membership with Luna. You commit to buying a case from them per year. (In Luna’s case the commitment is an annual purchase of sixteen bottles, split into four shipments across the year) Members get special privileges: limited releases, parties, and discounts on purchases. I would rate Luna’s membership benefits as below average. We did attend one pick up party which was basically cookies, cheese, and a very boring cold cut plate. The time we went to a paid party we paid $65 per person for a Paella dinner which was an absolute disaster. The paella was burnt and the rice was not fully cooked. Needless to say that we have not been to any events since. Maybe we need to give them a second chance since the staff there is always so welcoming.